We have so much honey, and a lot of it crystallised, so we decided to try Sandor Katz T’ej (Ethiopian style honey wine) as described in his book ‘Wild Fermentation’. It is delicious, and so very easy to make! 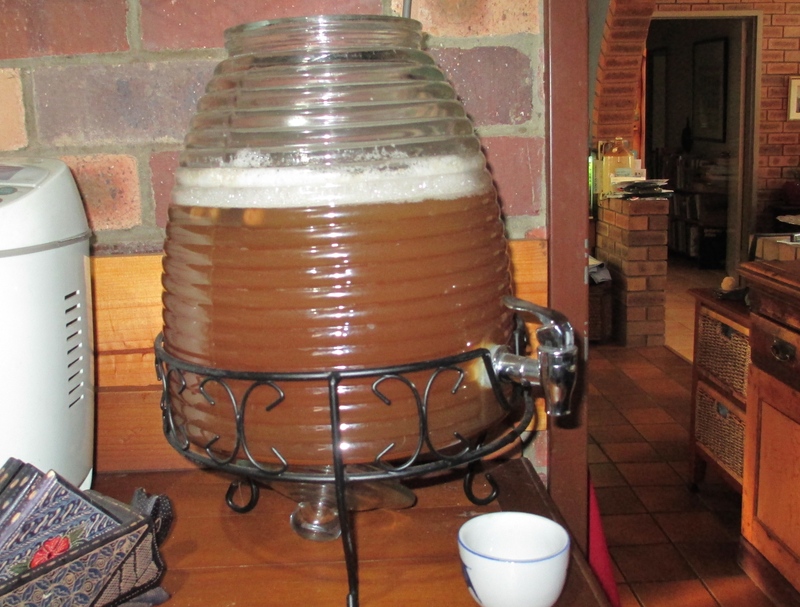 It has helped put the crystallised honey to good use- we just warmed it enough to liquify before mixing with the water.